Who are the Top Ten Conference Keynote Speakers You Should Know About? Conference keynote speakers set the tone for the whole conference, convention, or summit, which makes choosing the right speaker an important task—a great keynote speaker can really bring the whole event together. When searching for a keynote speaker for your next conference, look for speakers who have a proven track record and knack for engaging large audiences, and ones who can tailor their own content to fit with the theme and purpose of your event. Marc Randolph is the co-founder and original CEO of Netflix. He is also a veteran Silicon Valley entrepreneur whose career as an entrepreneur spans more than four decades. He’s been a founder of more than half a dozen other successful startups, a mentor to hundreds of early-stage entrepreneurs, and an investor in numerous successful tech ventures. He frequently speaks at events around the globe. Last year Marc was the keynote speaker at Ontraport’s Ontrapalooza, where he also did a Q&A with Ontraport CEO Landon Ray. His message is a blend of inspiration and actionable suggestions drawn from the starting and growing of Netflix, and other startups. Matthew Luhn is an accomplished storyteller, instructor, conference keynote speaker, and story consultant, with over 20 years experience creating stories and characters at Pixar Animation Studios. Matthew frequently speaks at large scale corporate conference events. 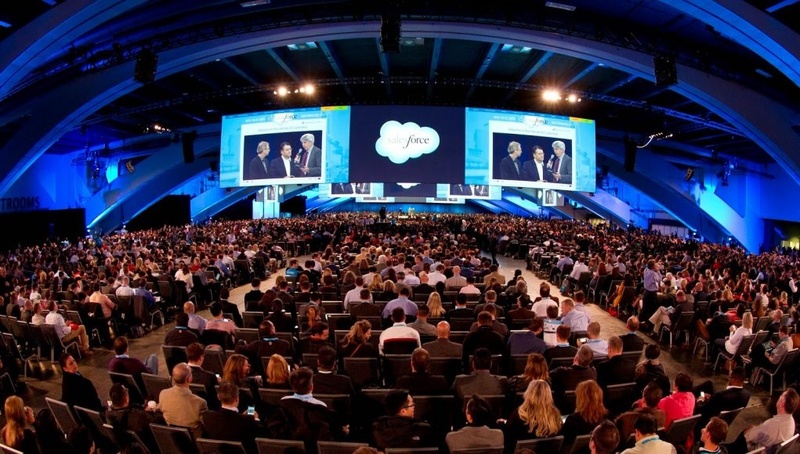 This year he spoke at Dreamforce, SalesForce’s mega 3-day experiential conference in San Francisco about the importance of telling a story and of making audiences feel something through marketing and advertising materials. Fredrik Eklund, the energetic, high-kicking, top broker at Douglas Elliman has secured over two billion dollars in closed residential sales. Constantly rated as New York City’ “Top Luxury Broker,” he set record sales in 28 buildings in Manhattan last year alone and is often spotted showing apartments to top name celebrities including Sara Jessica Parker and Jennifer Lopez. He was also the star of Bravo’s hit series Million Dollar Listing New York. Fredrik also frequents the main stage or corporate conferences and conventions; and with his larger than life personality and record-breaking sales acumen, Fredrik will capture the interest of any size audience. One of Fredrik’s most memorable events this year was in Sweden to an audience of nearly 3,000 people. To say that the event was a success would be an understatement. It was a home run hit that took the audience from fits of laughter to tears and then to their feet for a standing ovation. Steve Wozniak, the tech legend and founding father behind Apple, doesn’t often do speaking engagements quite so frequently anymore, but when he does, he is one of the best conference keynote speakers. This Spring Woz will be speaking at Procore’s three-day career-boosting, business-building GroundBreak Conference. This year football living legend, Peyton Manning, spoke at Entrarta Summit, a four-day corporate conference that offered training courses, breakout sessions, and an impressive roster of keynote speakers, about personal branding and negotiation skills. When the scheduling and budget work out, a celebrity speaker can be a great addition to a conference. Peyton spoke on the importance of leadership, as well as teamwork skills in accomplishing any project. Having a celebrity as your conference keynote speaker can add some buzz around your event and provide attendees with a chance to hear from beloved public figure about how they made it big. In 2014 Fortune Magazine named Peter Diamandis as one of the World’s 50 Greatest Leaders. Diamandis is the Founder & Executive Chairman of the XPRIZE Foundation, which leads the world in designing and operating large-scale incentive competitions. Diamandis is also New York Times bestselling author of two books: Abundance and BOLD. As an entrepreneur and futurist speaker, Peter is also a sought after conference speaker. This year he spoke at ThoughtWorks’s ParadigmShift, an executive conference that brings together business and tech’s most influential thinkers. Peter often speaks on the topics of technology, future tech and global trends, and innovation. Robin Farmanfarmaian focuses on the future of integrated medicine, the changing role of patients in healthcare decision-making, and how technology will change the way we experience and interact with medical facilities and physicians. Robin’s big personality fills a big conference stage. She is a proven conference keynote speaker, having spoken at technology and medicine conferences such as, Exponential Medicine, Singularity University, Connected Health Symposium, Boston Scientific, Differential Medicine, Medscape CME Videos, Burrill Personalized Medicine, LSA Innovator Summit, Wharton, and the Kellogg School of Management at Northwestern University, among others. She is also one of the founders of the Exponential Medicine Conference–a conference for physicians and healthcare executives that focuses on the positive disruptions we can expect to see in medicine and healthcare in the next 10- 15 years. Harvard Millennials and Gen Z Expert Paul Moya is best known for the world-class results his clients receive at Millennial Labs—a full-service consulting firm trusted by globally recognized brands to solve their most complex generational challenges in the workplace, marketplace, and voting booth. Over the last decade, Paul has impacted leaders from brands ranging from Citibank to Microsoft and General Motors to Nestle CentroAmerica in audiences as large as 54,000. Paul is a highly sought after conference keynote speaker. This year Paul received the honor of being asked to speak at the International Association of Speakers Bureaus (IASB) 2017 Conference in Las Vegas. This three-day conference is the largest gathering of speaker bureau, agency and speaker management professionals in the world. As the first female F-14 Tomcat Fighter Pilot in the U.S. Navy, having flown missions worldwide as a combat-mission-ready United States Navy pilot, Carey Lohrenz is used to working in fast moving, dynamic environments, where inconsistent execution can generate catastrophic results—this quality also makes her one of the great conference keynote speakers. Carey also spoke at Entrata Summit this year where she shared her expertise in the areas of performing under pressure, reducing errors, and developing a culture of learning.